Speaking by phone on Wednesday, President Rouhani urged Pakistani Prime Minister Nawaz Sharif to take “serious and prompt action” over Iranian border guards kidnapped by the Sunni insurgency Jaish ul-Adl. Jaish ul-Adl seized five guards on February 6 in Sistan Baluchestan Province in southeastern Iran and took them across the border into Pakistan. Last week they hung one of the guards, and said they would execute another in 10 days if their demand was not met for the release of 300 detainees from Iranian prisons. Iranian MPs and officials have criticized Pakistan for inaction, while claiming they have held meetings with Islambad’s officials. Last week’s execution raised domestic pressure on the Rouhani Government in a case dominating the Iranian media. We want two countries and two governments to have widespread cooperation on combating regional terrorism. 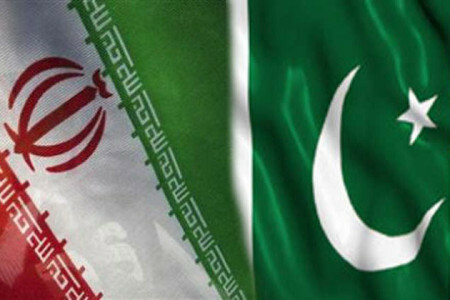 In this regard, (Iran) is prepared to cooperate at any level with the Pakistani government to secure the borders of the two countries. I believe the two countries’ joint efforts against terrorism can positively affect public opinion in both nations. On Thursday, Rouhani met his Pakistani counterpart Mamnoon Hussein at a Nowruz Festival in Afghanistan. He said, “The Pakistani president underlined that his government will do its utmost to release” the guards. Responding to criticism of inaction, the Iranian Foreign Ministry said it has established a special committee to work for the release of the four guards who are still alive. Deputy Foreign Minister Ebrahim Rahimpour said the Ministry “has been seriously carrying out its professional duties” since the abduction. Rahimpour said the Iranian Foreign Ministry will hold several meetings on the issue of the abducted guards in the next few days. As President Rouhani hails an increase in Iran’s oil exports since November 2013 (see below), State media is trying to hide not-so-positive news of a drop in March sales. Press TV headlines, “Iran Oil Exports Increase for 5th Consecutive Month“, claiming that exports reached 1.28 million barrels per day, excluding sales to Japan. A second source gave the “1.28 million bpd, excluding Japan” figure preferred by Press TV, but a third said sales had fallen to just above 1.1 million bpd. The Tehran Friday Prayer has maintained attention on the case of the five Iranian border guards, one of whom was executed last weekend, kidnapped by the Sunni insurgency Jaish ul-Adl in southeastern Iran and taken into Pakistan. The cleric called on Iran security officials to “crush” Jaish-ul-Adl, as they did with an earlier Baluch insurgency, Jundallah, with the arrest and execution of its leader Abdolmalek Rigi. Under an interim accord, the US has permitted six buyers (Turkey, China, Japan, India, South Korea, and Taiwan) to import Iranian oil without threat of penalties, in return for greater Iranian cooperation in addressing concerns regarding its nuclear programme. The agreement has allowed China to return to pre-sanction levels, importing 502,500 bpd from Iran in February, while India imported 410,000 bpd in January and 304,286 bpd last month. Nuclear talks between Iran and the P5+1 have been described as both “productive” and “substantial” by America’s top negotiator, Wendy Sherman. Sherman’s positive assessment of the situation has come in the context of a recent report by the International Atomic Energy Agency (IAEA), asserting that both Iran and the P5+1 have “kept all [their] commitments” for the second consecutive month. Negotiations are set to continue on April 7-9, preceded by three days of technical discussions. NextSyria Video Analysis: Is This A Game-Changing Insurgent Offensive in Latakia?